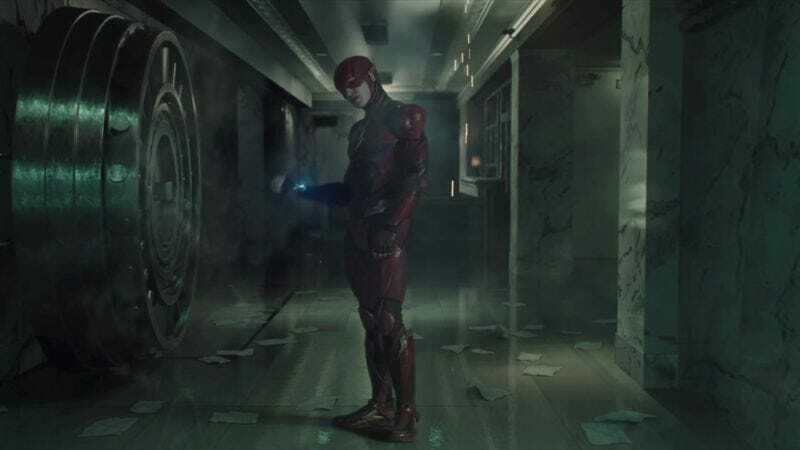 Back in November, shortly after a second director dropped out of Warner Bros.’ The Flash movie, star Ezra Miller expressed a little disappointment that the movie was having so much trouble getting off the ground. Mostly, though, he wanted to let people know that The Flash‘s behind-the-scenes shake-ups weren’t as “dramatic” as they seemed, and that multiple high-profile directors leaving a project due to “creative differences” with the studio is a totally normal thing that happens on all movies of this size. His argument seemed a little thin at the time, and it’s only looking thinner and thinner now that Variety is reporting that Warner Bros. has brought in a writer to do a complete rewrite of the script. Basically, Warner Bros. liked that the existing script had a guy named the Flash, but everything else was unusable. Suddenly, the fact that this project is having so much trouble finding a director makes a bit more sense. The writer who Warner Bros. has hired to carve up The Flash is Joby Harold, who most recently wrote for Guy Ritchie’s King Arthur: Legend Of The Sword. It’s tough to say how that bodes for The Flash, but at least Harold has some experience fitting iconic characters into weirdo universes that don’t seem to make any sense.